What’s Cozy Camp all about?? Great fishing “North of the Tension Zone”! 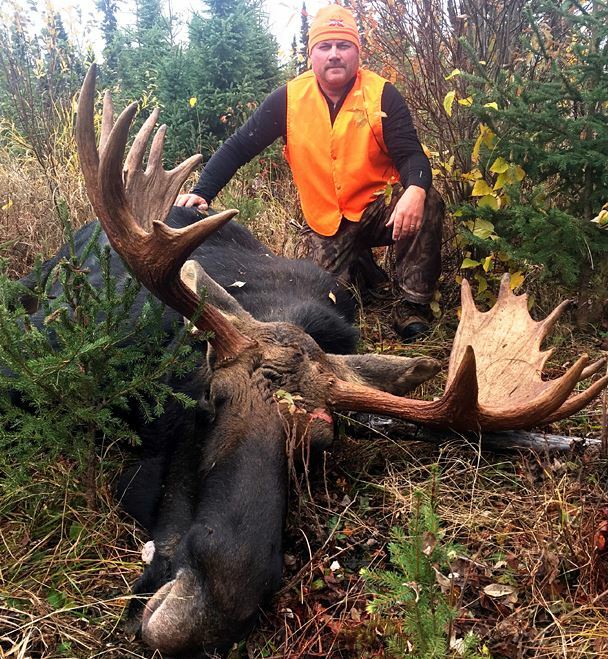 Your fishing vacation starts just 20 miles north of Ignace Ontario on the famous English River. 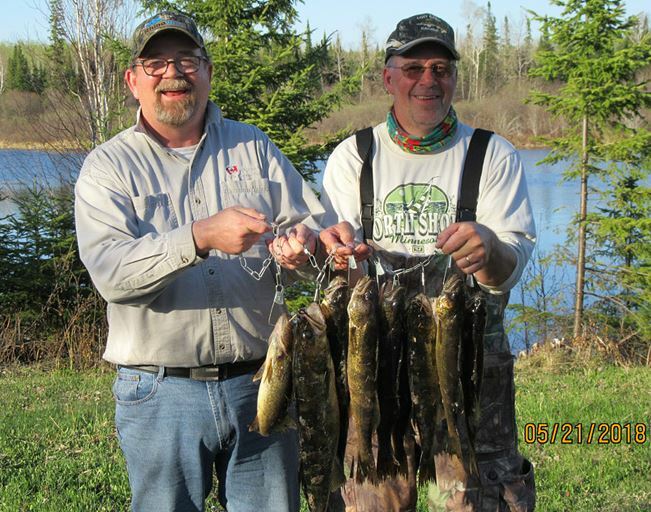 Famous for it’s abundance of tasty walleye, trophy size northern pike and feisty small mouth bass. The gently flowing waters of the English River provide you with 32 miles of uninterrupted fabulous fish habitat. 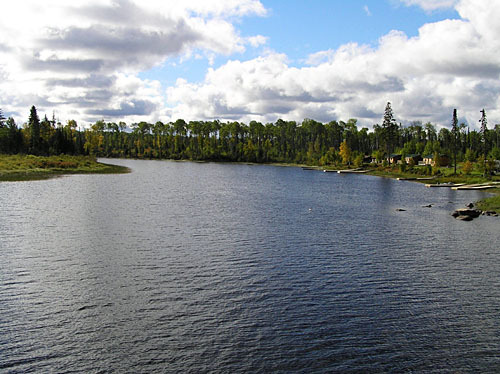 Barrel Lake is one of the the larger lakes formed by the river. Fourteen miles long and a twelve mile boat ride from camp, with countless spots to catch fish along way. The many islands and bays on the lake make perfect places for shore lunch. But you don’t have to travel far to catch fish. Many tasty dinners have been caught off the dock in front of your cabin. A short boat ride up river will take you to Talking Falls, where the scenery is unsurpassed and the fishing isn’t bad either!! Many beautiful ten pound plus walleye have been caught and released here every year!! These rapids are formed from the two river systems joining, bringing into the English River amazing amounts of golden walleye, aggressive northern pike and some football sized small mouth bass. Will you be the next lucky angler to catch his or her trophy? If you tend to be a little adventurous, you can take the portage over Talking Falls and spend your day fishing above the rapids. Many more miles of gentle waters to explore, cast, jig and reel em in, until the sun goes down. 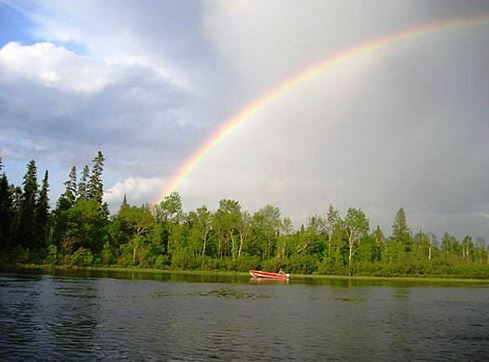 With no other resorts or personal cottages on any of the water accessible from your cabin, you can enjoy the beauty, peace and serenity of the Northwestern Ontario outdoors. For those who like their accommodations a little more rustic, a secluded outpost cabin sits on top of Talking Falls! Imagine, nothing but you, water, trees and fish! If you tend to enjoy a few more comforts, like indoor plumbing, and hot and cold running water, one of our six waterfront housekeeping cabins will accommodate you and your family quite comfortably. Whether it’s just “the guys” or just the “two of you”, we’ll have a cozy cabin to suit your needs. When you arrive at Cozy Camp either to hunt or fish, remember, you have arrived “North of the Tension Zone”! We will do whatever we can to help you relax and enjoy one of the best fishing vacations you have ever experienced in Northwestern Ontario! Please take a look at our very informative web site for more information on bear hunting, fabulous fishing and waterfront camping. We would be happy to talk to you if you have any questions.